Due to my health, I will no longer be able to curate this site. If Blog For Mental Health has served its true purpose, you don’t need me here anymore anyway. The 2015 Blogroll is up-to-date as of this writing, and you can use the wonderful community of bloggers listed there to make connections, and to find kindred spirits dealing with similar challenges. That’s always been the most important role of Blog For Mental Health, to connect individuals in a positive way to support one another. Well, whether you had or had not (and don’t feel badly if you had, I honestly had moments when I wondered myself), I’m happy to end the suspense for you right now by officially launching. . .
A Very Short History Of BFMH: In 2012, my A Canvas Of The Minds co-founder and dear friend Lulu had a spectacular idea. I found myself interested in an official blogging project to raise awareness for mental health education. I sifted through Google for awhile, unable to find anything like it. And I thought, “Why don’t I start one?” It would be easy! All I would need to do is produce a graphic and some instructions. Being a woman of action, Lulu did just that. In 2013 she allowed me to launch the project through Canvas, and last year this very site you’re visiting now, The Official Blog For Mental Health Project, was developed to handle the campaign as a venture all its own. The purpose of Blog For Mental Health is to share our stories, educate, eradicate stigma, let those suffering know they are not alone, raise our voices, dispel misconceptions. . . You know, just your average change-the-world-with-our-words kind of thing. 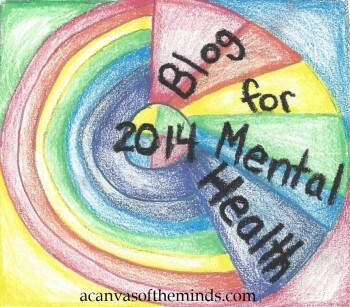 So How Do I Become A Part Of Blog For Mental Health 2015? 2. The 2015 BFMH badge, pictured above. You can put it in the post, on the sidebar, both, whatever you like. The purpose of the graphic is to catch the attention of your site’s visitors and hopefully get them interested in participating, or at least spreading the word about the campaign. Which brings me to. . .
3. Please include a link to this post, or at least a link to the site (blogformentalhealth.com) in your pledge post! This matters. The whole idea is to raise awareness, that being the case, your readers need to be able to investigate BFMH further on their own, should they be interested. The easiest was for them to do this is a source link! 4. Please include in your post as little or as much as you would like about your experiences with mental health. This can be your own story, the impact of a loved one’s struggles, perhaps something you read or saw that really woke you up to the importance of addressing mental health. Anything that has truly impacted you matters. Essentially, we want to know what has drawn you to become a part of the Blog For Mental Health campaign. There is no requisite number of posts you need to make in the year to “qualify”. As many of your words and as much of your time as you can contribute, it’s enough. A little can go a very long way in the fight to raise awareness, educate, show support, and eradicate stigma. Once you have written your post: Email the link to your specific Blog For Mental Health pledge post to blogformentalhealth@gmail.com (just a link to your site itself is not what I need). I am the only one with access to the account, in case you have privacy concerns. If you have general questions, read through our Frequently Asked Questions page before emailing me privately — unless of course your question is of a private nature. If you ask your question in the comments of that page, others may benefit. As stated above, all emails are held in strictest confidence, no one sees them but me. 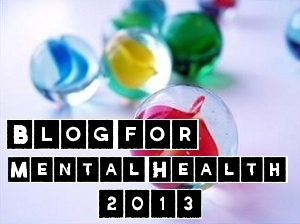 Once you have published your pledge post, and emailed me the link, I’ll get you listed on the Blog For Mental Health 2015 Official Blogroll, both on this site and on Canvas. I’ll also share your voice through our social media channels, and excerpts of your posts through this site. If you like, include social media you are on (your Twitter handle, the URL of a facebook page for your blog [not your personal account], a link to your Google+ profile) that you would like connected with your post, if any. You are invited to email additional links to future Blog For Mental Health posts you write throughout the year. I’ll share these out during the year, though only your initial pledge post will be listed on the Blogroll. There simply isn’t room to list all pieces there! Two important disqualifiers: I will not share posts that are abusive or malevolent (please click here for clarification). That one shouldn’t have to be stated, but I discovered last year that in fact it did. Show the world our strength, show them our solidarity, show them what we are made of. 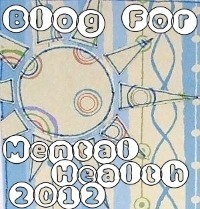 Take the Blog for Mental Health pledge and proudly display the badge on your blog! © Ruby Tuesday and The Official Blog For Mental Health Project 2015. Unauthorized use and/or duplication of this material without express and written permission from this blog’s author and/or owner is strictly prohibited. Excerpts and links may be used, provided that full and clear credit is given to Ruby Tuesday and The Official Blog For Mental Health Project with appropriate and specific direction to the original content. This entry was posted in Blog For Mental Health News and tagged activism, advocacy, awareness, Blog For Mental Health 2015, blogging projects, community, health and wellness, mental health, mental health awareness, mental illness on 2015/01/30 by Ruby Tuesday.